After breakfast, Proceed for the sightseeing tour of Old & New Delhi. Including Jama Masjid -- one of Asia's largest mosques, Red Fort- the magnificent and most opulent fort built during the years 1638 - 1648 by the Moghul Empire, walk through the silver street of Chandni Chowk, Raj Ghat - the cremation site of Mahatma Gandhi, A massive temple - Akshar Dham, The Hindu temple - Birla Mandir, The Humayun’s Tomb & Qutab Minar - a 73 m high victory tower and The Bahai Temple - shaped like a lotus flower and a proof of India's secularism. The India Gate -war memorial, The Rashtrapati Bhawan - President's House, Parliament House and Government Secretariat Buildings. Overnight stay at New Delhi hotel. Morning at leisure, in time transfer to Domestic Airport flight to Udaipur. On arrival you will be received by your driver and transfer to hotel at Udaipur. Later visit Udaipur. One of the most romantic cities in Rajasthan, Udaipur is also known as the city of lakes. The marble palaces, beautifully laid out gardens and the lakes make Udaipur seem almost like a mirage in the desert. The founder of Udaipur, Maharana Udai Singh, was overcome by the misfortunes that his old capital of Chittaurgarh had to face due to repeated attacks by the Mughal armies. On the advice of a holy man, Udai Singh shifted his capital to the banks of Lake Pichola- the city was named Udaipur after him. Afternoon Boat ride at Lake Pichola and visit "Jag Mandir". Evening time free at leisure. Overnight stay at Udaipur hotel. Early morning visit incomparable Taj Mahal which is among the seven wonders in the world. Taj Mahal, erected by Shah Jahan in memory of his beloved wife, Queen Mumtaz Mahal. Begun in 1631, 20000 workmen took 22 years to complete it a dream in white marble which lies in perfect proportion to the elegant garden of fountains on the bank of Yamuna. Post lunch tour of the Phantom city Fatehpur Sikri built by Akbar in the late 16th century, it was abandoned after only 14 years due to shortage of water. 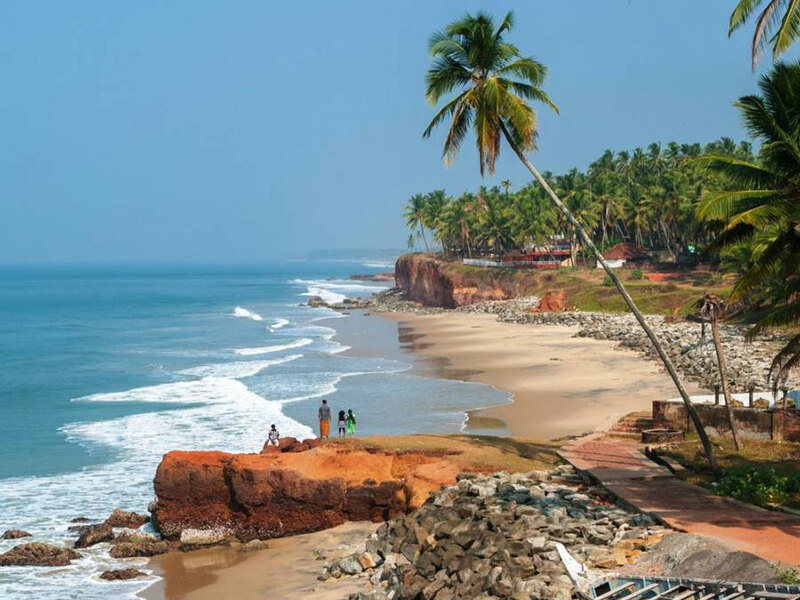 The entire city of Red sand stone (sand stone palaces and temples) is virtually intact and a site worth seeing is the 54 m high main entrance. Jami Mosque, Buland Darwaza, Tomb of Shaikh Salim Chishti, Jodha Bai and Birbal’s house are the other attractions. welcome to The Capital city of Rajasthan which is also known as “Pink City” This afternoon, set off to see The City Palace --still the home of the former royalty H.H Bhawani Singh Ji of Jaipur housing an extensive collection of art, carpets and old weapons. Jantar Mantar Observatory - situated in the heart of the city where time has been accurately measured since the 17th century the largest and best preserved stone observatory, on the way back visit Birla Temple. Overnight stay at Jaipur hotel. After breakfast drive to Pushkar on the way visit in Ajmer Nasiya Golden Jain Temple, “Dargah Sharif” and Adhai Din Ka Jhopra. Afternoon reach the Holy City - Pushkar, the place where Lord Brahma (Creator of the Hindu Trinity) and Savitri (His Wife) perform “Yagnas”. 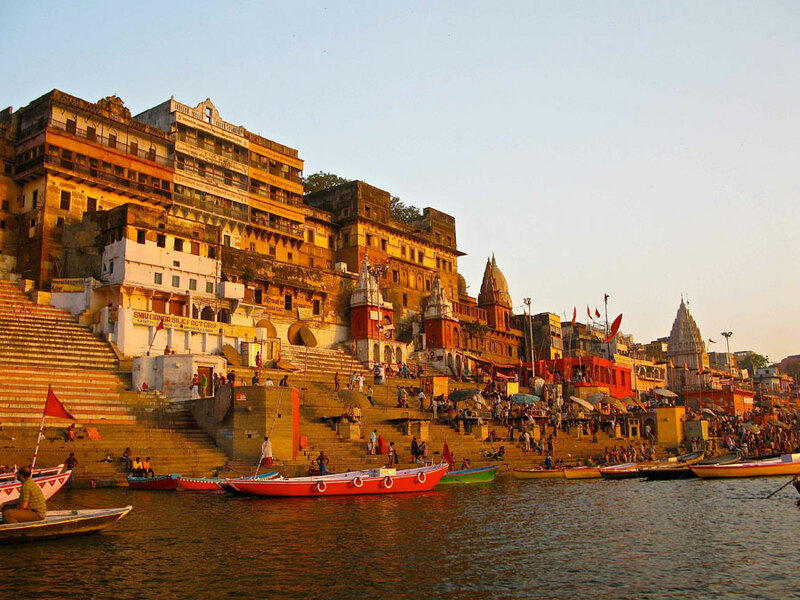 Here we visit Brahama Temple and Lake Pushkar, where devotees take holy bath in lake water. The legand says that the lake sprout on the place where the lotus petals fell on earth from the hands of Lord Brahma. Pushkar is popular for the Pushkar Fair or Camel Fair that held every year in the month of November. In evening enjoy the walk along the colourful and bustling local market. Overnight stay at Pushkar hotel. After breakfast drive to Jaipur the Capital city of Rajasthan. JAIPUR - The origins of the beautiful city of Jaipur can be traced back to the eighteenth century, during the reign of Jai Singh II who ascended the Amber throne in 1699. Jaipur today, epitomizes the spirit of Rajputana. In-spite of growing into a bustling metropolis, it still retains it's character and history - A beautiful fusion of the yesteryears and modernity. Popularly known as the Pink City because of the extensive use of the locally abundant pink plastered stone, painted so in honor of the visit of the royal consort of Queen Victoria. Jaipur thrills the soul with its massive forts, magnificent palaces, exquisite temples and lush gardens. Overnight stay at Jaipur hotel. After Breakfast drive to Jodhpur.Upon arrivalcheck into hotel. Post lunch seightseeing tour includes Mehrangarh fort - pride of Jodhpur, still stand high witnessing the battles fought. Museum inside the fort displays a rich collection of old royal palanquins, arms, paintings, costumes, etc. Fort has number of palaces - Moti Mahal, Phool Mahal, Sheesh Mahal, Takht Vilas and Jhanki Mahal. On the way down from the fort, towards left is Jaswant Thada - intricately carved marble stone temple shaped cenotaph of Maharaja Jaswant Singh II. Umaid Bhawan Palace or Chittar Palace - palace with no mortar bindings, only chiselled sandstone blocks are interlocked together. Evening is leisure or you can walk along the famous spice market and feel the flavours of indian spices. Overnight stay at Jodhpur hotel. After breakfast move out for the city tour of Udaipur visit the City Palace, a grand palace with beautiful architecture, the Jagdish Temple, dedicated to Lord Vishnu, and the folk art museum with a colorful collection of puppets, musical instruments and paintings.In the evening you can wander through the city or take an boat ride on Lake Pichola and see the fabulous lake palaces of Udaipur, the Jag Mandir Palace and the Jag Niwas Palace now known as the Taj Lake Palace, where you can enjoy your dinner in a regal ambience. Overnight stay at Udaipur hotel. After breakfast you will be transferred to airport to take the flight to Aurangabad. Upon arrival received by our representative and transfer to hotel. Later move for the sight seen of aurangabad which includes “Bibi Ka Maqbara” was built by Prince Azam Shah, son of Emperor Aurangzeb, in the late 17th century as a loving tribute to his mother, Dilras Bano Begam. The monument's name translates literally to 'Tomb of the Lady', but has earned the nickname 'poor man’s Taj' because it was made to rival the Taj Mahal. “Panchakki” The Water Mill complex. This is very good example of long indian science history, water force use to rotate the mill stone for grinding wheat. Overnight stay at Aurangabad hotel. 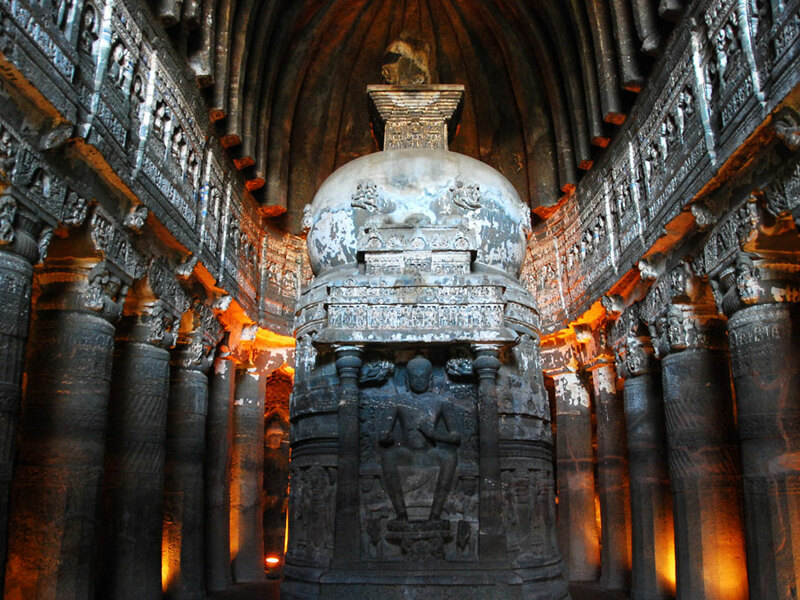 After breakfast take an excursion to Ajanta caves: Ajanta Caves are a series of 29Buddhist cave temples. Some of which date from the 2nd century BC. Encompassing both Theravada and Mahayana Buddhist traditions, the Ajanta caves preserve some of the best masterpieces of Buddhist art in India. The Caves were carved over many years out of a horseshoe-shaped cliff along the Waghora River. They were used by Buddhist monks as prayer halls (chaitya grihas) and monasteries (viharas) for about nine centuries, and then were abruptly abandoned. They fell into oblivion until they were rediscovered in 1819. Overnight stay at Aurangabad hotel. After breakfast take an excursion to Ellora caves. 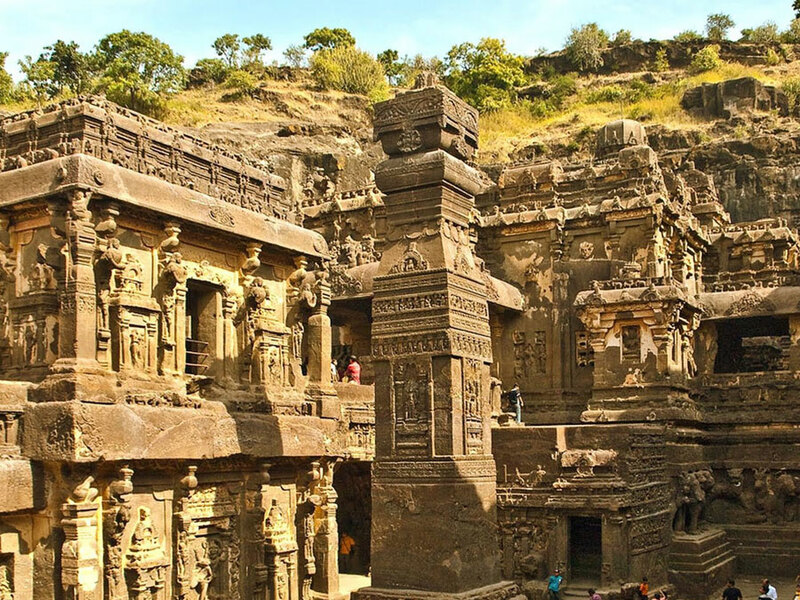 The Ellora Caves are an impressive complex of Buddhist, Hindu and Jain cave temples built between the 6th and 10th centuries AD near the ancient Indian village of Ellora. The caves have a slightly less dramatic setting than those at Ajanta, but more exquisite sculptures. Ellora is a World Heritage Site and the most visited ancient monument in Maharashtra State. The caves at Ellora were carved out of the vertical face of the Charanandri hills between the 6th and 10th centuries. The carving work began around 550 AD, about the same time the Ajanta Caves (100km northeast) were abandoned.Later transfer to airport to take the flight to Mumbai On arrival the driver will receive you and than you will transferred to International airport 3 hours before your international flight time to your home country.